Figuring out how to prepare ourselves for walking 12-15 miles (19-24 km) a day on the Camino was a daunting task when we were discussing the idea back in January. 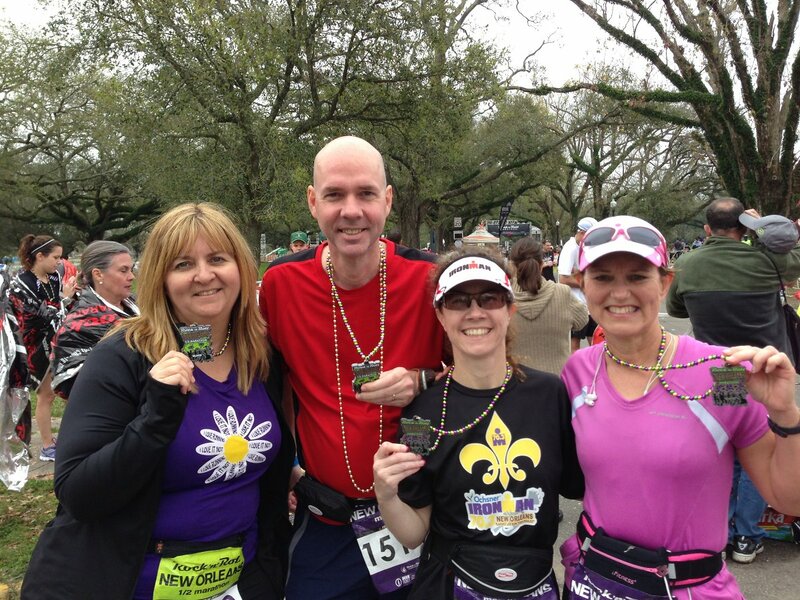 However, it was not totally unknown territory; a half-marathon is 13.1 miles (21 km) and Russell and I walked the New Orleans Half Marathon in just under 4 hours last year. The numbers are how many hours to walk each weekend. My idea was to build up to 4 hours and then start over and build up to 4 hours 2 days in a row (walk Saturday and Sunday). Then start over and build up to 4 hours 3 days in a row (walk Friday, Saturday and Sunday). Hopefully that should get us ready for walking a half-marathon every day for a week and a half. In addition, we walk 1 to 1.5 hours on Tuesdays and Thursdays. All together, that’ll be over 110 hours and 300 miles (482 km) before we set one foot on the Camino! For the most part, we’ve followed the plan, except for a little variance in March when Russell had some knee problems and I had thumb surgery. But we’re now on week 12 of the training plan and back on track. On the weekends we walk with our backpacks, which we’ve gradually been putting more weight into. We’ll each carry about 15-17 pounds (7-8 kg) on the trip. We also worked some fun events into the schedule. In February (week 6 of the plan), we went to New Orleans and I ran the Rock ‘n’ Roll Marathon (I had signed up for that race a long time ago) and Russell walked the Rock ‘n’ Roll Half Marathon. In March (week 10 of the plan) Russell walked the Dallas Rock ‘n’ Roll Half Marathon while I recovered from thumb surgery. What a wonderful adventure this will be! I just recently watched The Way and understand that much of it is filmed along the Camino de Santiago. It looks like it will be an amazing walk. So happy for you both!! You are absolutely right…It will be worth it! Thank you so much for this! 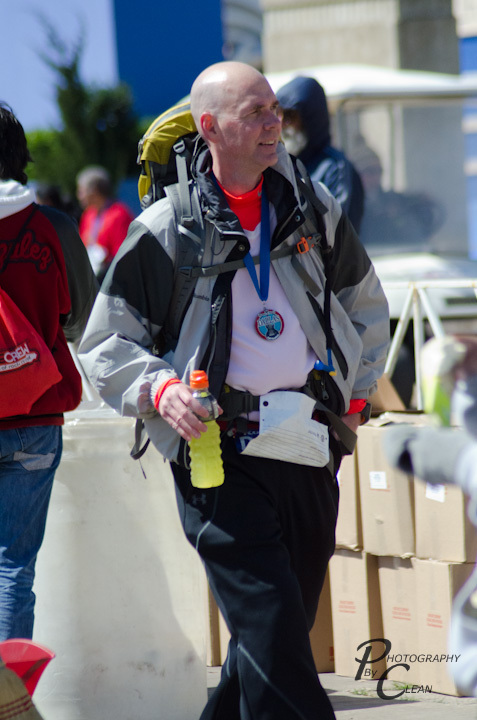 I’m planning my first Camino (beginning May 16, 2015) and will be using your training plan to whip me into shape. It’s been a long time since I’ve run a marathon, and I know the value of a good plan.